From nineteenth-century neighborhoods built on landfill to the proliferation of parks on top of dumps today, waste defines the geography of the American city. Processes of consumption and destruction are at the heart of urban development. 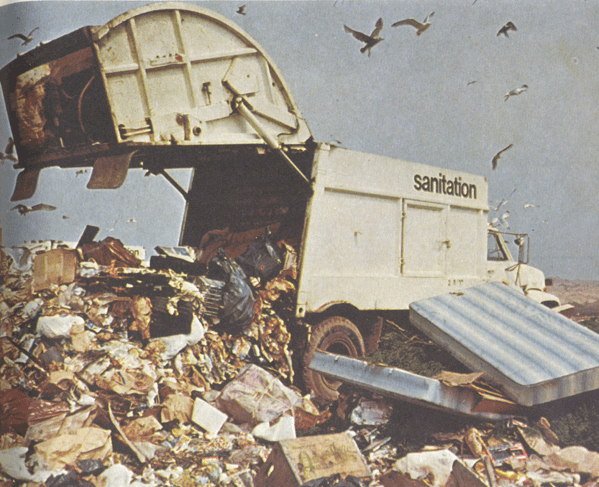 In the first half of this research seminar, we will consider histories and theories of waste and space and investigate the relationship between the production of waste and the growth of cities. How is value determined in the built environment? We will look at the development of such concepts and matter as waste and pollution and the evolution of approaches to manage their place in the city. Waste prompts us to rethink ideas of the public realm, and provides a critical historical perspective on current debates about sustainability and the urban environment. In the second half of class, we will consider contemporary debates on waste and space and conduct research in groups and individually on specific sites to create a collective Atlas of Urban Waste in New York City. Thus, in addition to lectures and discussion of the readings, this seminar will function as a research workshop. The goal is to explore together ways to analyze and visualize the relationships between the production of waste and the production of space. Course readings include classic discard studies texts focused on New York such as Benjamin Miller’s The Fat of The Land, Garbage of New York, as well as Robin Nagel’s brand new Picking Up: On the Streets and Behind the Trucks with the Sanitation Workers of New York City, but also includes texts less familiar to us that focus on the urban mapping part of the course, including Brent Ryan’s Design After Decline: How America Rebuilds Shrinking Cities and Roger Starr’s article in the New York Times Magazine from the 1970s, “Making New York Smaller.” We may hear from some of her students on the Discard Studies blog later in the semester about how these sorts of ideas fit together. As a reminder, anyone is welcome to add to our discard studies syllabus collection. If you have something to contribute, please email max.liboiron@nyu.edu. This entry was posted in Waste and tagged atlas, discard studies, syllabi, syllabus, syllabus collection, waste. Bookmark the permalink. What level of persuasion would be necessary to compel Mariana to create an open-courseware version of this course (once it’s had its first run)?